New reports reaching GhanaPage.com has it that, artists managers employed under the Nana Appiah Mensah owned Zylofon Music have been asked to resign from their positions. Zylofon Music which is regarded as the most prestigious music label has the famous artist managers, Willi Roi, Bulldog and others employed under the label. The label has some of the biggest artists in Ghana such as Stonebwoy, Shatta Wale, Becca, Joyce Blessing, Kumi Guitar, Obibini on the record label. Besides the musicians on the label, there are movie actors and actresses such as Benedicta Gafah, Bibi Bright, James Gardiner, Toosweet Annan, Zynnel Zuh and others signed unto the Zylofon Music Record Lable. The managers handling all these artists have been asked to resign from their position from a reliable source Ghanapage.com spoke with. Besides managers who have been asked to resign, Ghanapage.com has also gathered some workers have been asked to proceed on leave without reason and has since not heard a single word from management. These reports were confirmed when Joyce Blessing in an interview on Rainbow Radio’s Away Bus revealed that several workers have been asked to proceed on leave. As at now, it can not be authoritatively stated that NAM1’s battles with the Bank of Ghana and the SEC is the cause of all these troubles with Zylofon Music but it appears to be so. 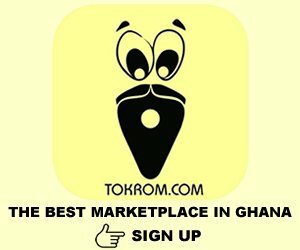 GhanaPage.com is on standby and we will update you when there is an update. Stay with Ghanapage.com.